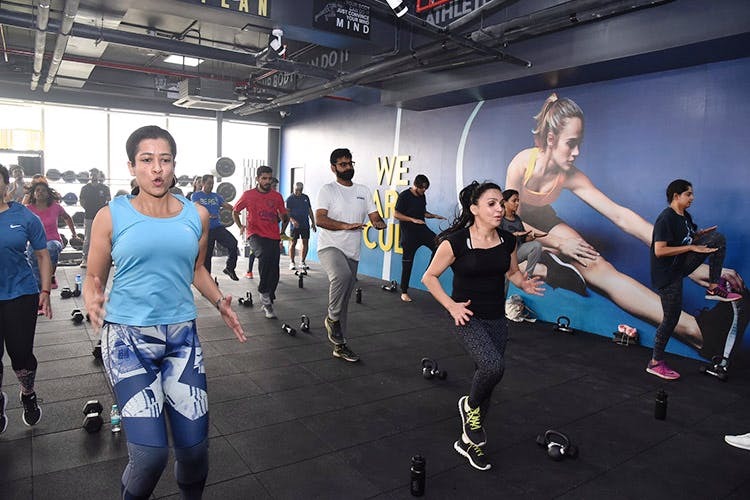 Time to get your body moving, as new age fitness chain CULT arrives in G-town and promises to make you fit and fabulous without any mainstream gym equipment. We don’t blame you if the gym has fallen of your radar because your standard exercise routine is quite the intense and arduous solo affair and falls into a repetitive cycle that you stop looking forward to. Telling us how to do things differently, yet with hopefully spectacular results, Bangalore based CULT is propagating a workout plan of action that only operates in a charged up group environment. With a focus on core fitness, and a holistic development, this state of the art fitness centre is powered by top of the line master trainers who will ensure your fitness goals are met, keeping this machine less and group class approach in mind. CULT provides a facility where you can pick a mix and match of workouts that will deliver on an adjusted blend of exercises for you, without the need for standard heavyweight equipment. So you can choose from MMA, boxing, Zumba, yoga and even the Hrithik Roshan designed HRX- that promises to give you an intense workout. If you’re more of the sporty kind, you can also choose to burn your calories through sports conditioning, tag rugby and football. If we have piqued your curiosity, and you’re ready to sign up for the new way to get those calories burning, you can check out further details here, and the available workouts here. All class details are on the website, and there is a special offer running currently where a one-month unlimited class pass is available at INR 1,990.